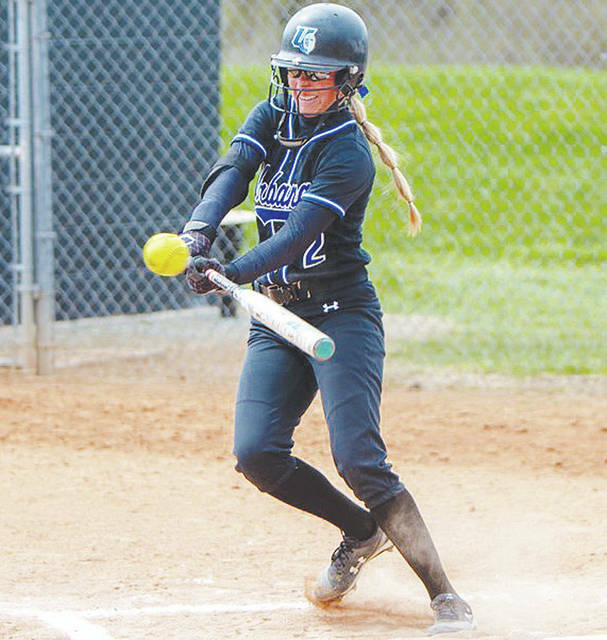 Urbana University’s Jenna VanHoose (pictured) had 3 hits in Tuesday’s softball doubleheader loss to visiting Charleston. The Urbana University softball team was swept by visiting Charleston on Tuesday by scores of 3-2 and 9-4 (8 innings). UU was swept by visiting West Virginia State on Saturday by scores of 11-0 and 7-2. The Blue Knights (5-37) play at UVa-Wise today. WEST LIBERTY, W. Va. – Urbana University freshman Dino Tharp delivered a clutch game-tying, two-run homer in the seventh to send Saturday’s second baseball game at West Liberty into extra innings. However, WLU’s Chad Matthus added to the drama with a walk-off home run in the eighth as the Hilltoppers swept UU by final scores of 3-1 and 7-6. West Liberty benefited from a pair of unearned runs in the third, which proved to be the difference. The Hilltoppers took a 3-0 lead in the fifth and then the Blue Knights could only get one run across in the final two frames. The Blue Knights were outhit 5-3 in the pitchers’ duel with Griffin Stevens, Triad graduate Briley Harlan and Justin Drennen recording singles. Stevens also reached twice via walk and scored the only run. UU right-hander Cole Weaver (2-4) was sharp on the mound, despite the tough loss. In the second game, West Liberty again jumped out to a 2-0 lead in the third and led 5-1 after five frames. UU starter Dylan Whisman surrendered two earned runs in seven hits during 3.2 innings of work. Jackson Everman and Ryan Townsend kept the Blue Knights in the game with 3.1 shutout frames in relief. On Monday, the Blue Knights were swept by West Liberty by scores of 7-6 and 12-8. UU (7-26) hosts Findlay today at 3 p.m.